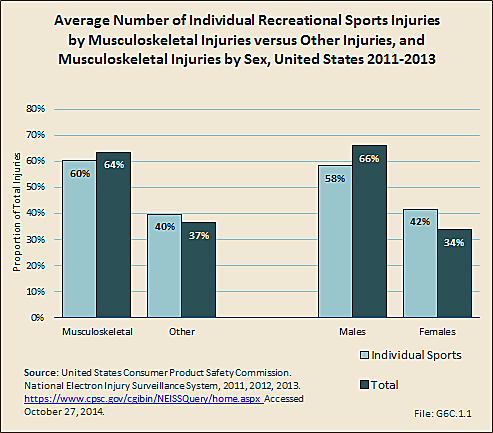 Males have a slightly higher rate of musculoskeletal injury than females, with 22.0 injury visits to all provider sites per 100 males in 2010. 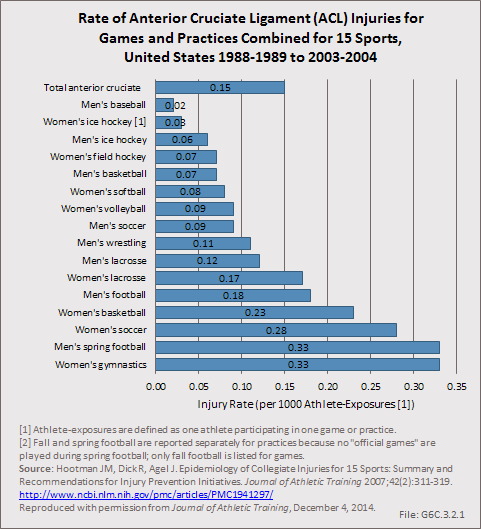 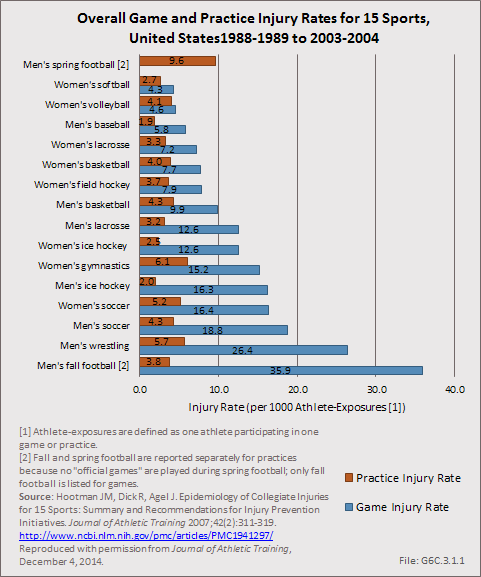 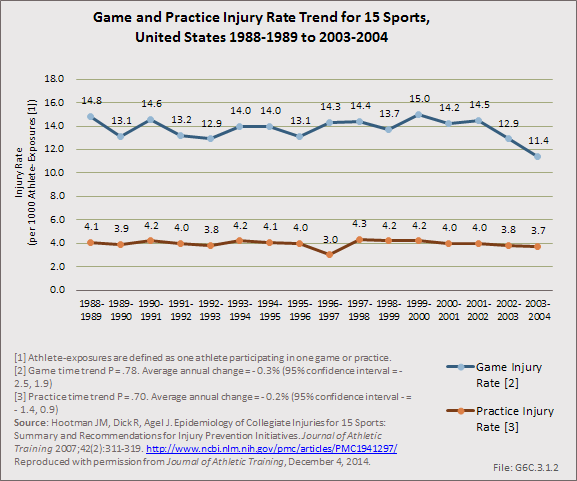 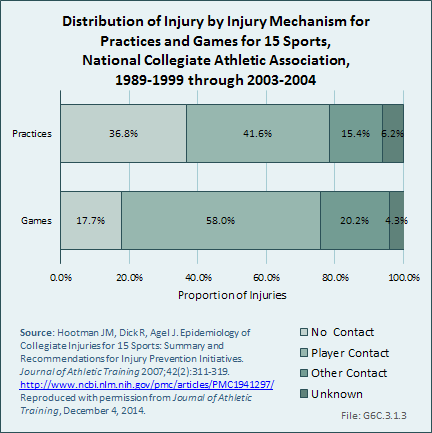 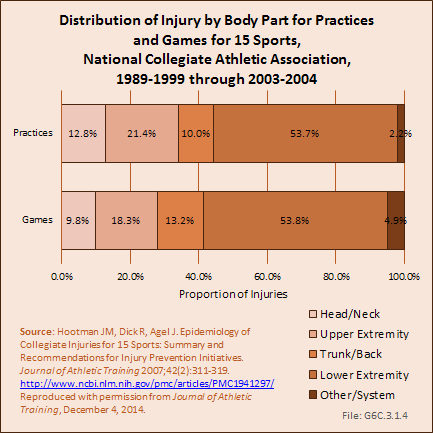 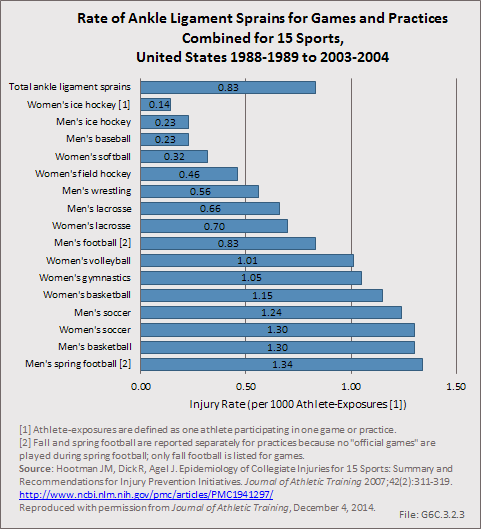 This compares to 20.5 injury visits per 100 females. 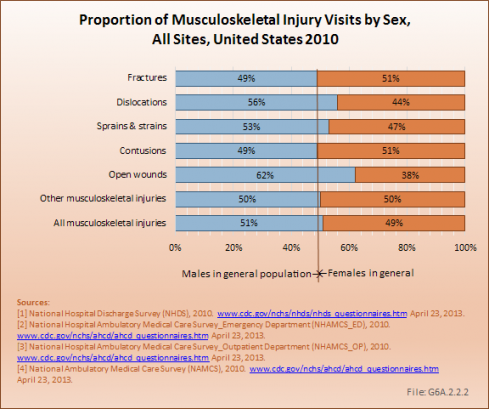 The proportion of all musculoskeletal injury visits for males versus females is the reverse of that found in the general population: 51% male to 49% female injury visits versus the 49% to 51% male to female ratio found in the general population. 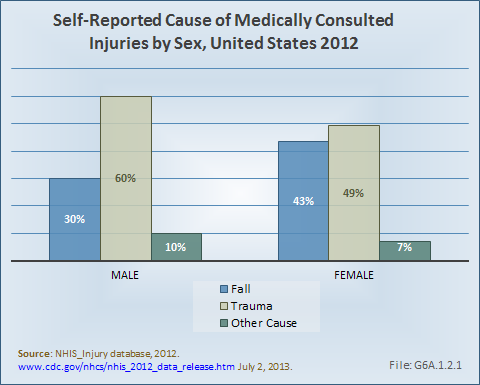 Males are more likely to suffer open wounds (62%) and dislocations (56%). 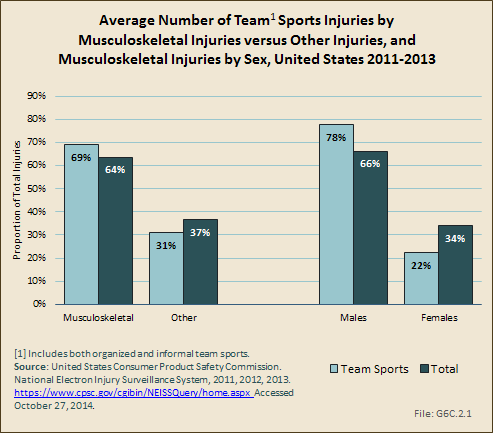 Females have correspondingly lower rates for these injuries, and an expected share of other types of musculoskeletal injuries. 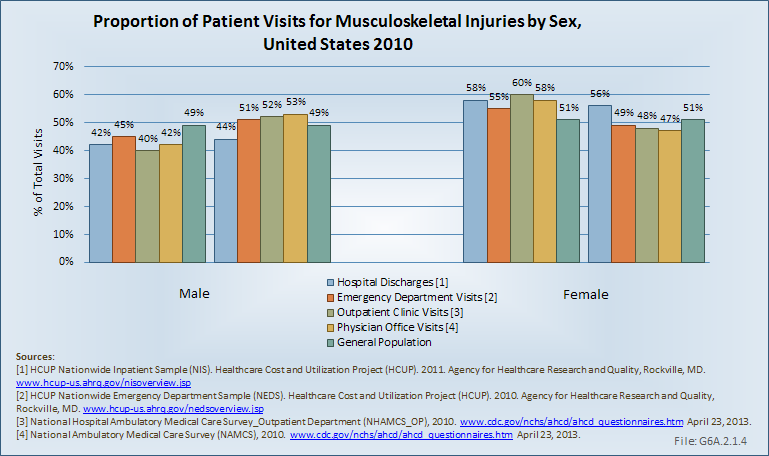 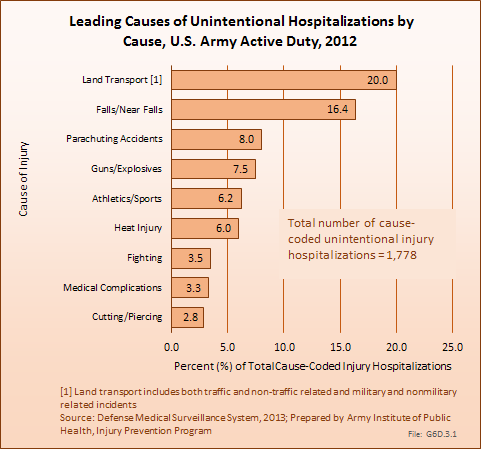 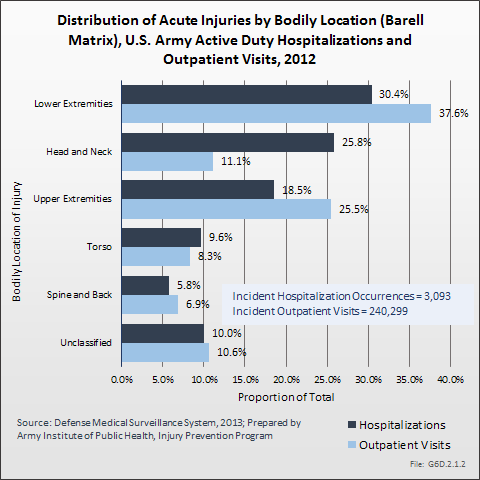 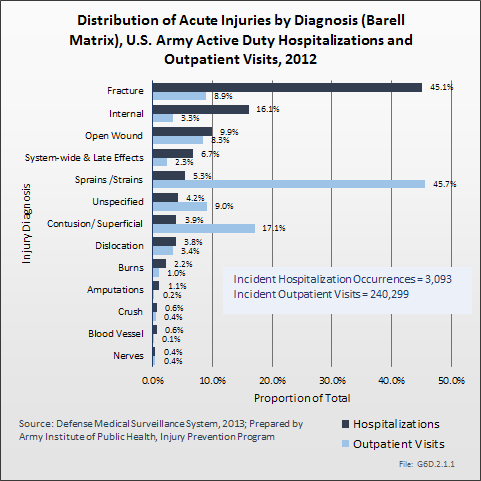 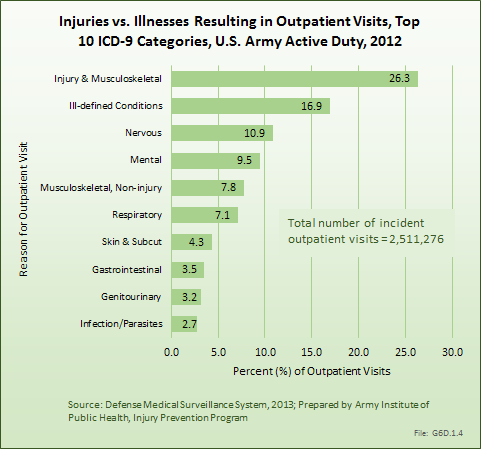 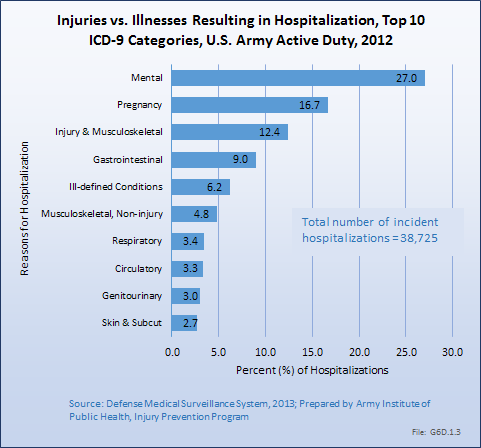 Males have a higher rate of injuries seen in a physician's office, while females are more likely to be discharged from a hospital or seen in an emergency department because of a musculoskeletal injury. 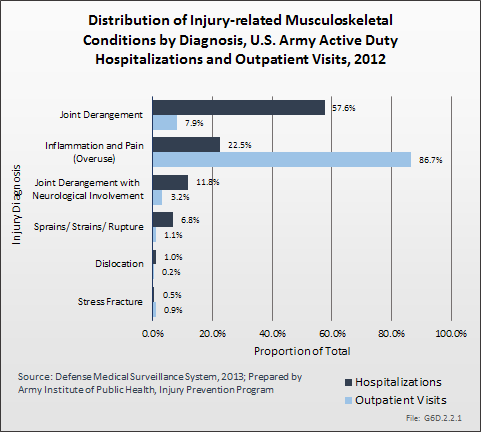 Because injuries for which a patient is hospitalized are potentially more severe than those seen in a physician office, it might be surmised that females may incur more severe musculoskeletal injuries. 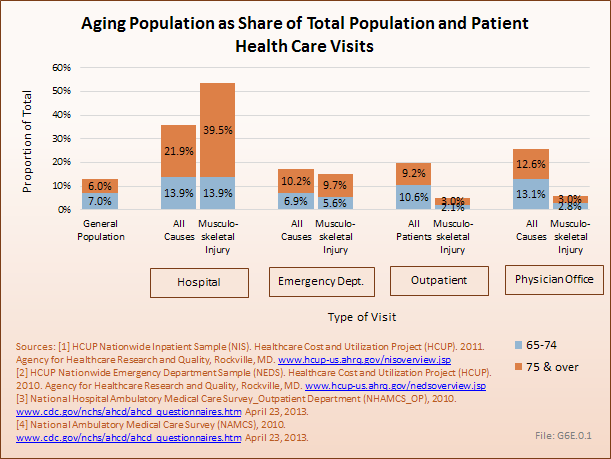 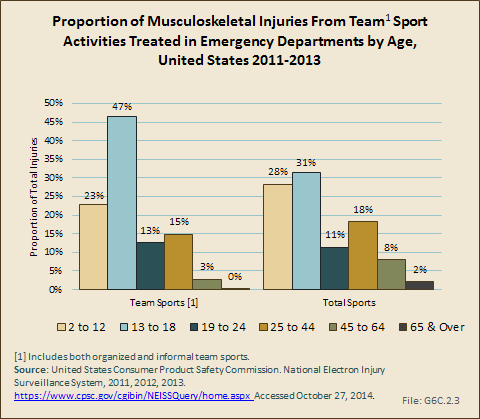 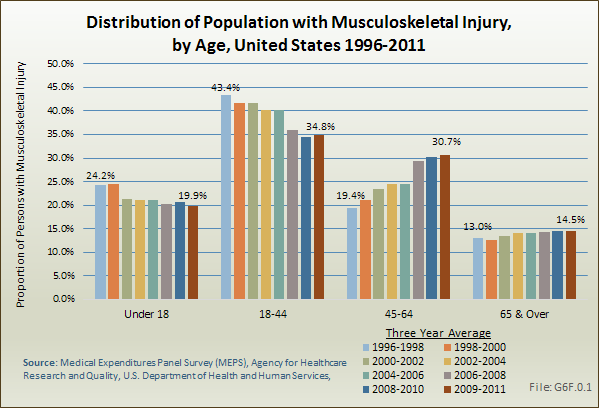 Age is also a factor in the rate of musculoskeletal injury health care visits, with the rate per 100 persons increasing from 19.5 for children (ages 0 to 17 years) to 33.9 for people age 75 years and older. 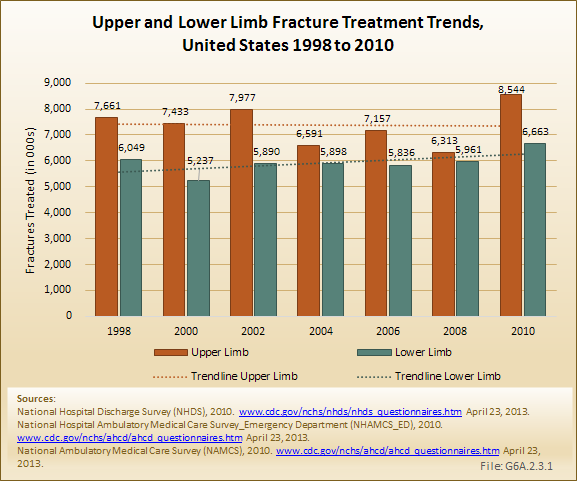 This rate increase is found across all provider sites. 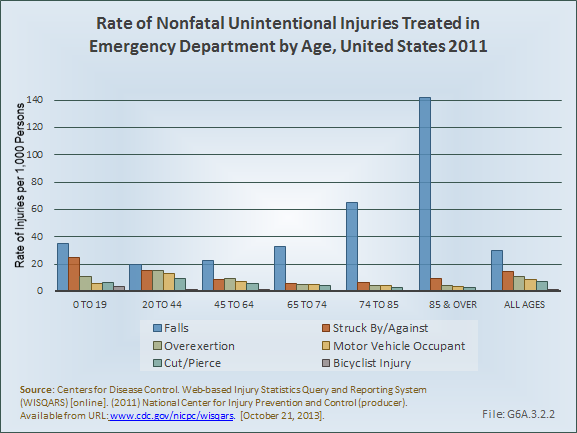 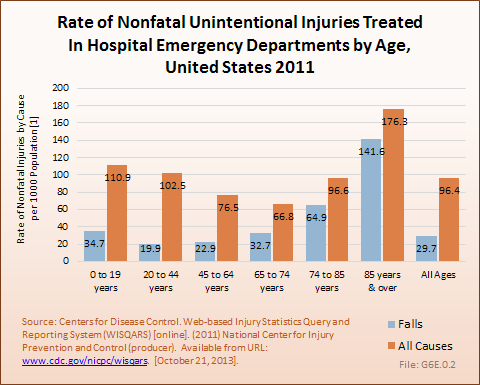 However, because elderly people comprise a smaller share of the general population, the actual number of injuries for which treatment is delivered is much larger in the younger age brackets. 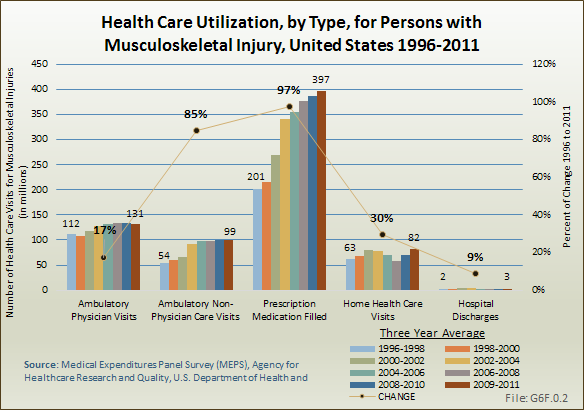 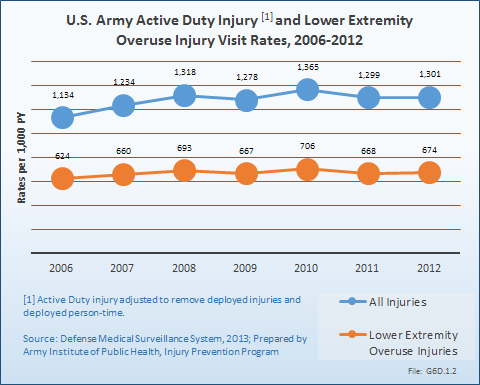 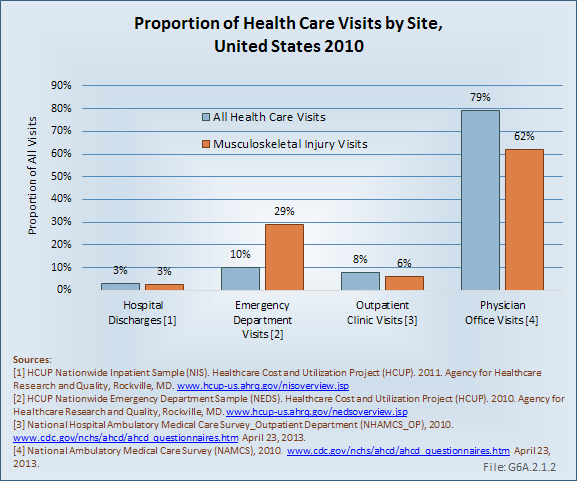 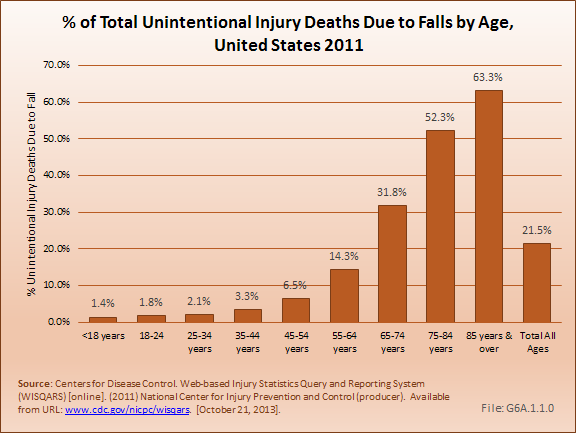 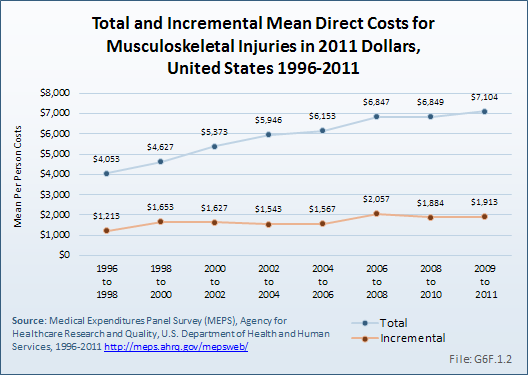 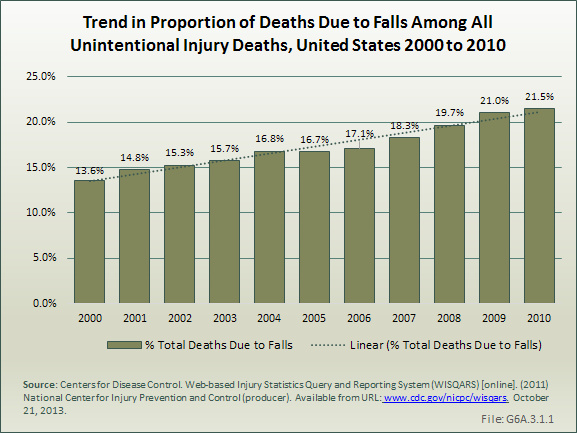 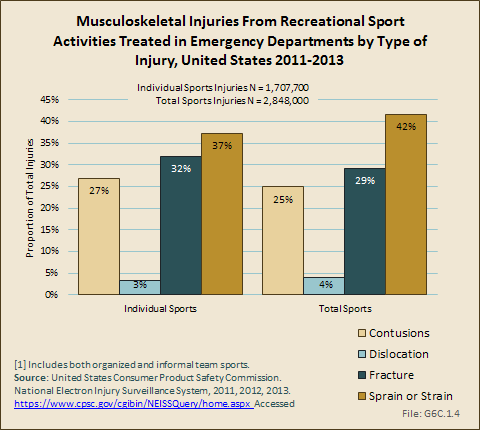 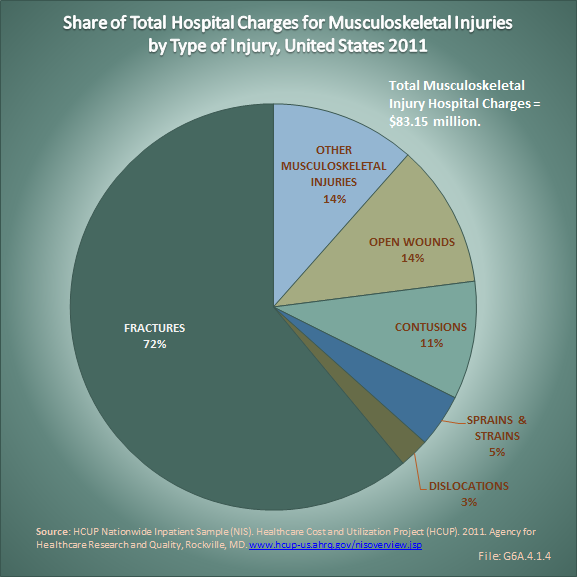 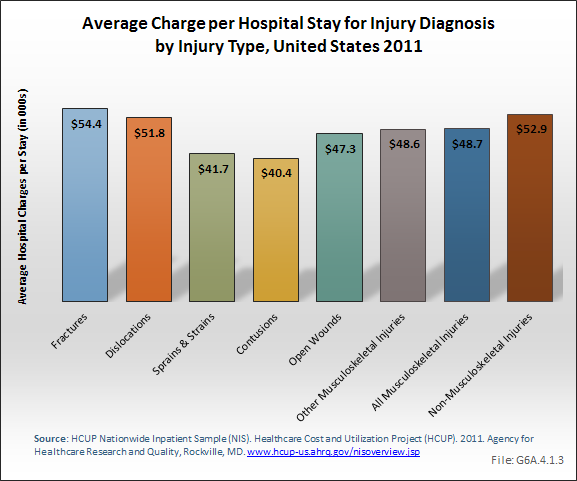 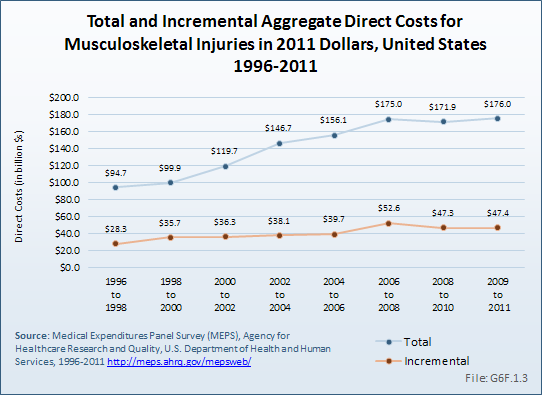 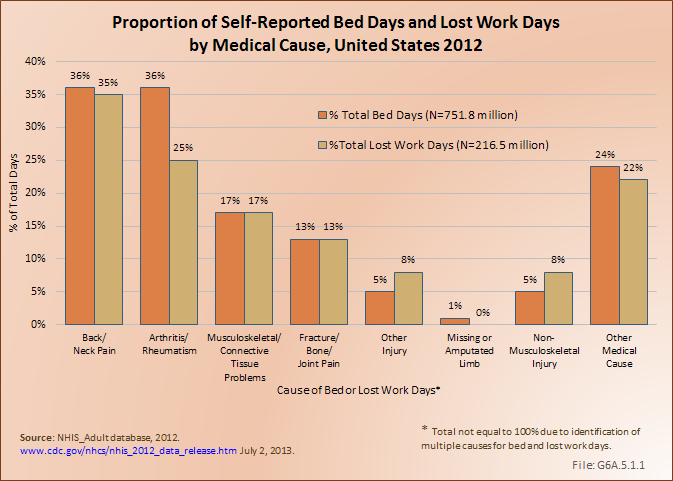 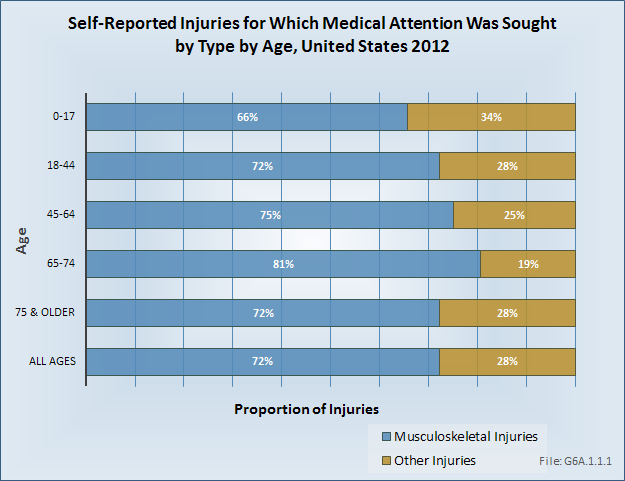 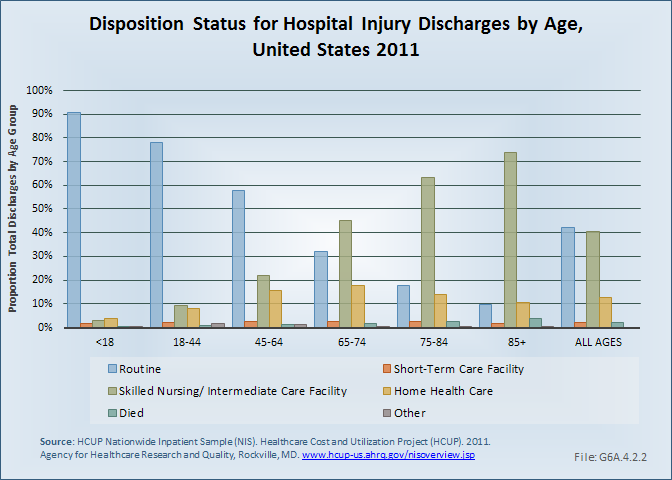 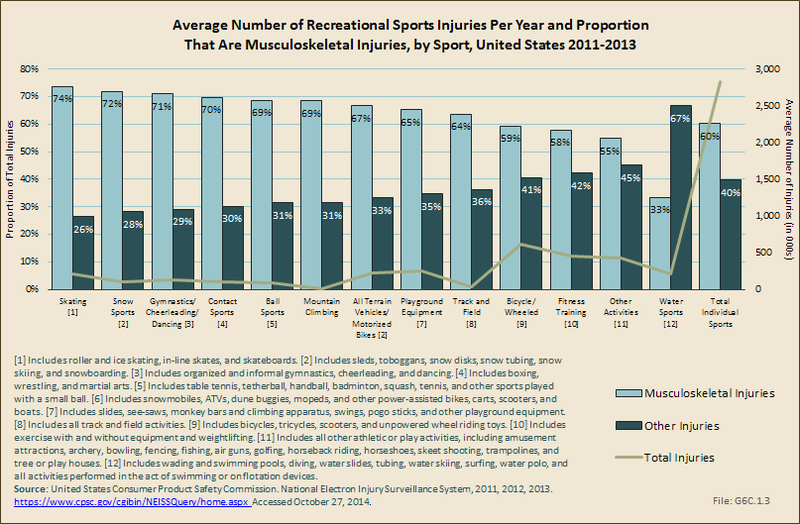 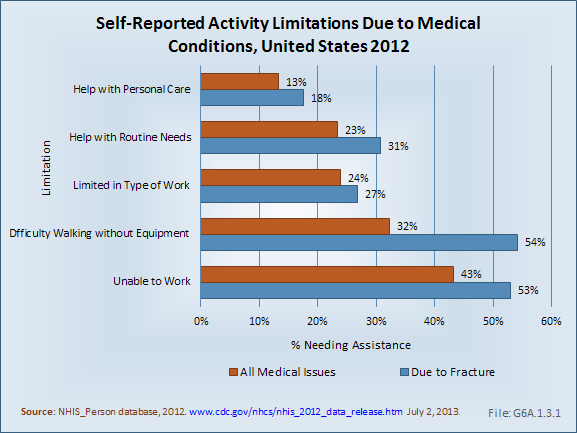 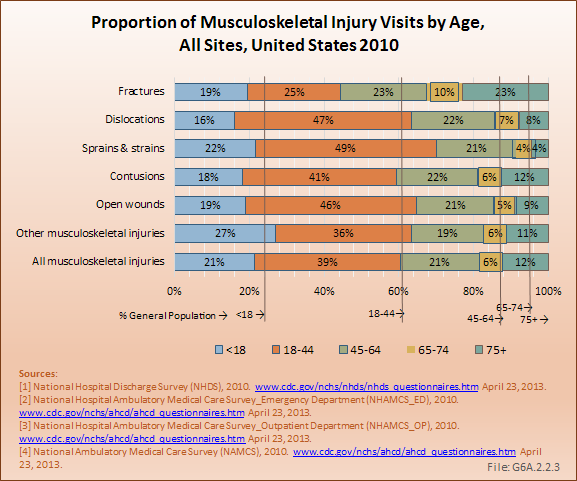 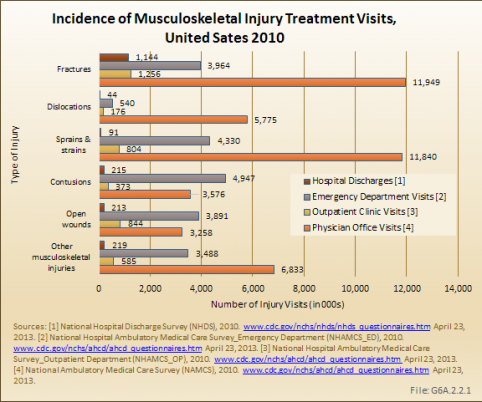 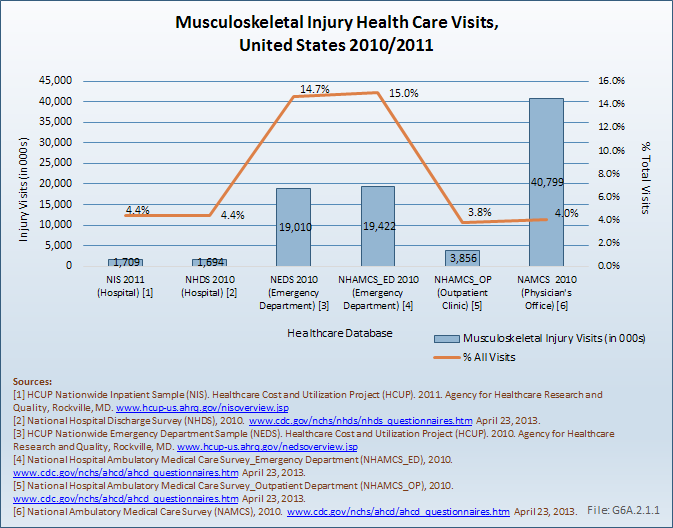 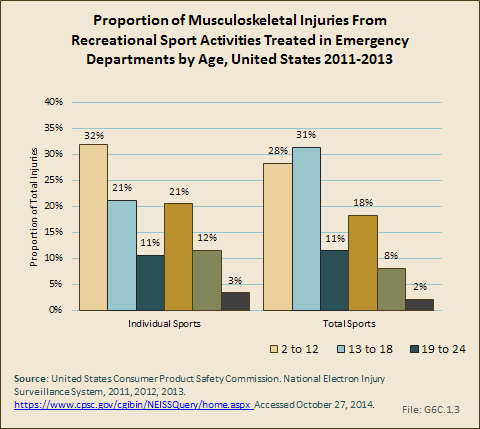 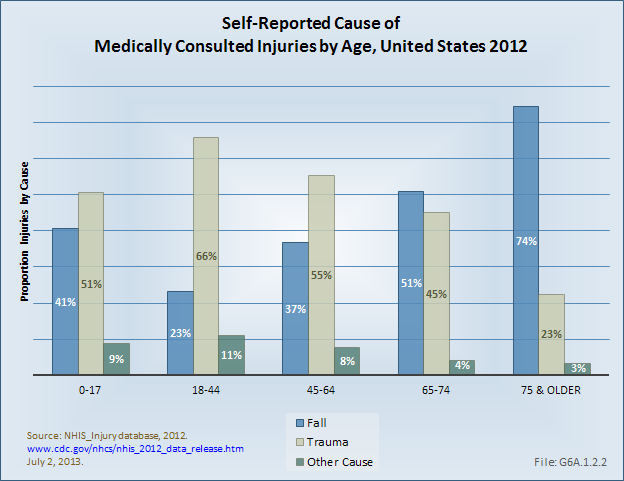 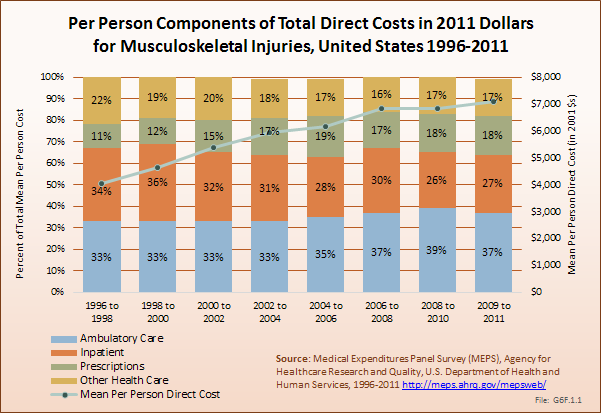 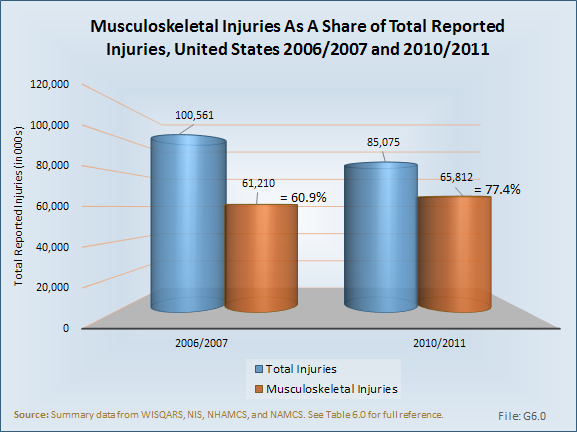 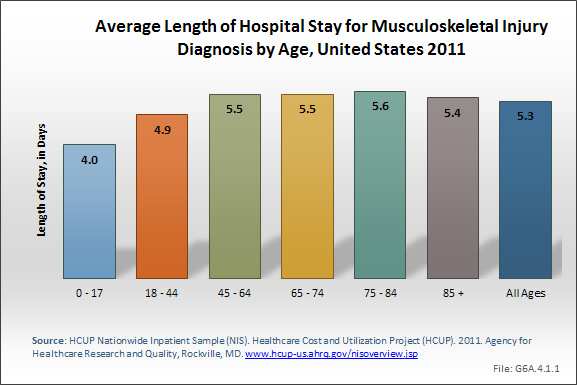 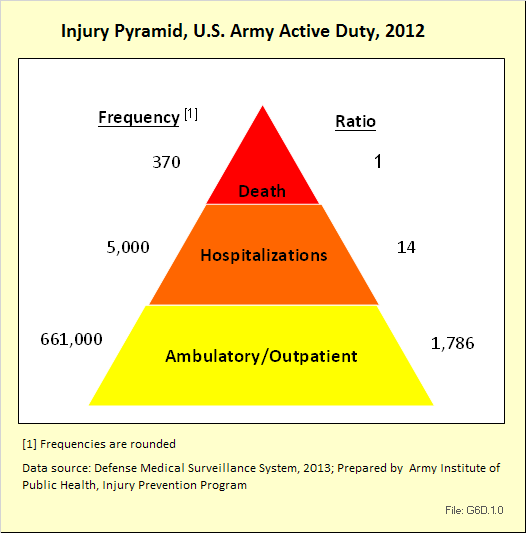 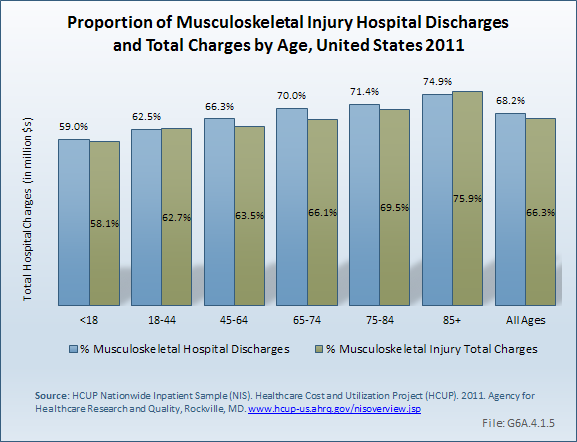 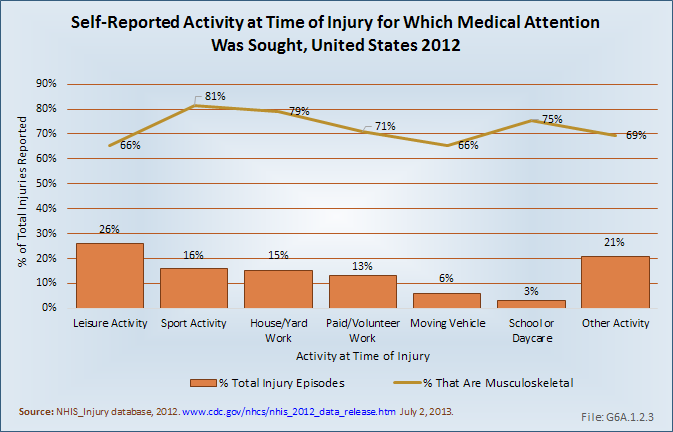 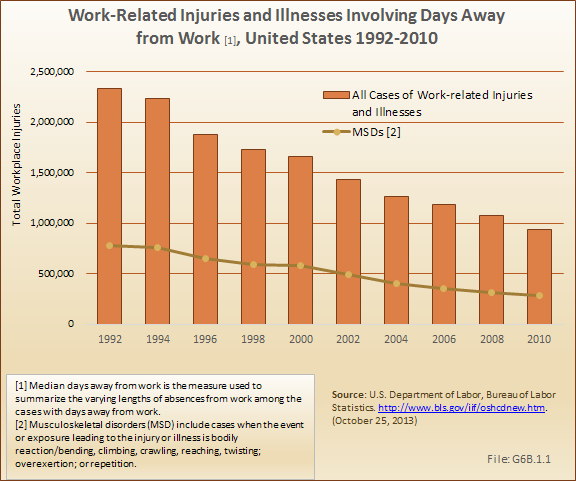 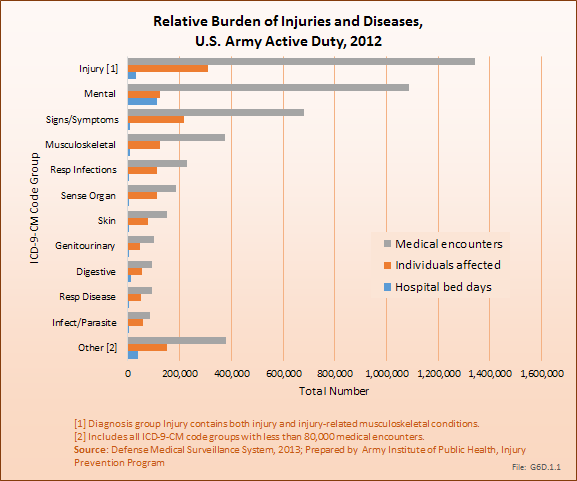 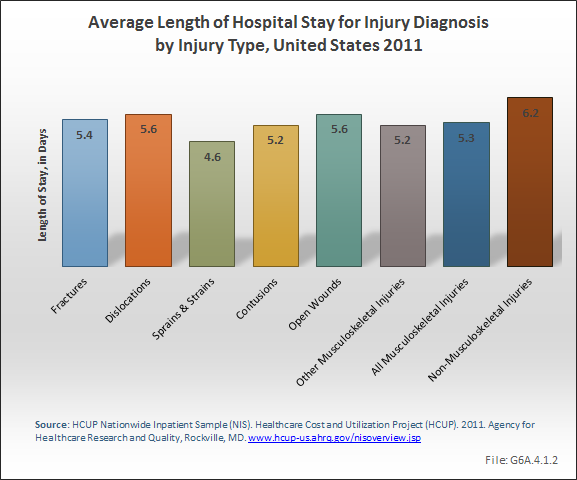 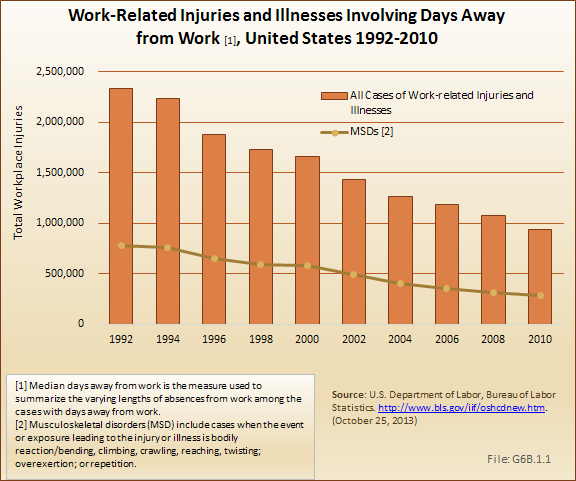 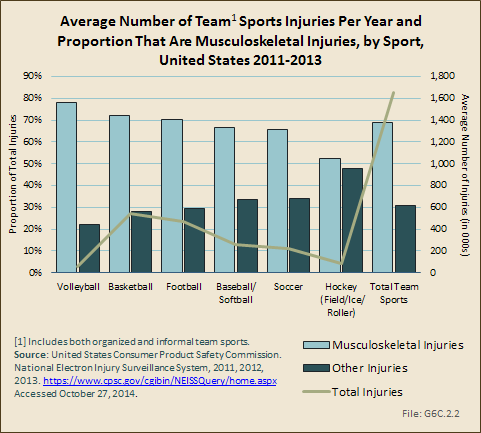 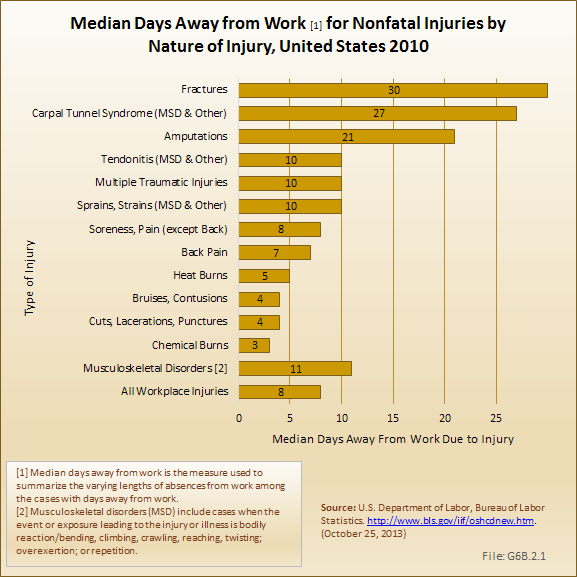 Those aged 45 to 64 years, with 22.3 million visits, had the largest number of musculoskeletal injuries treated in 2010. 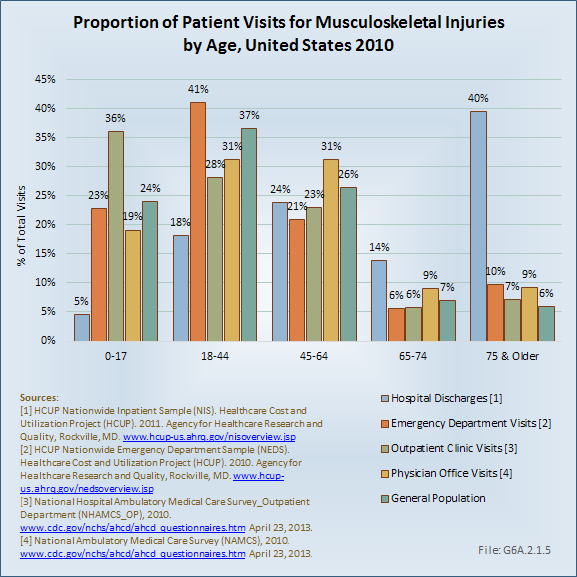 Older people aged 65 to 74 years had just over 5 million injury visits, while those age 75 years and older accounted for 6.3 million episodes. 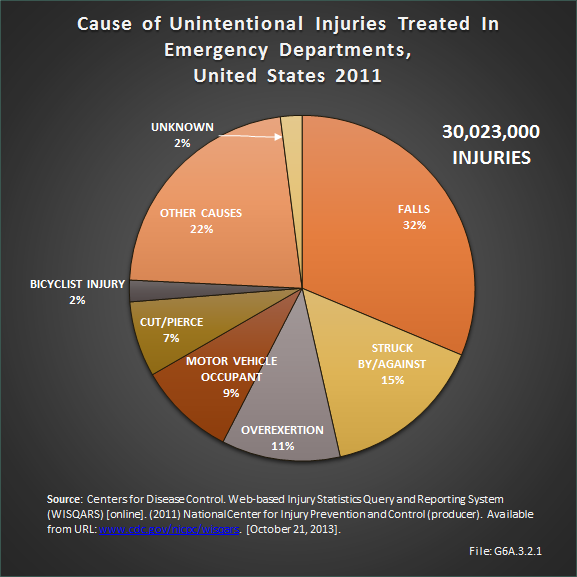 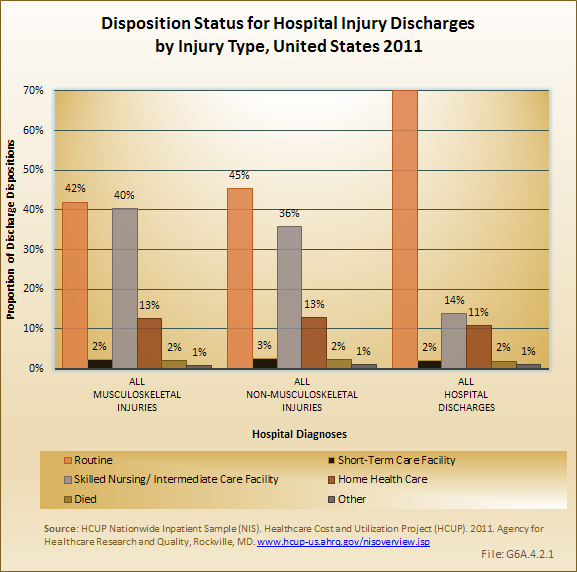 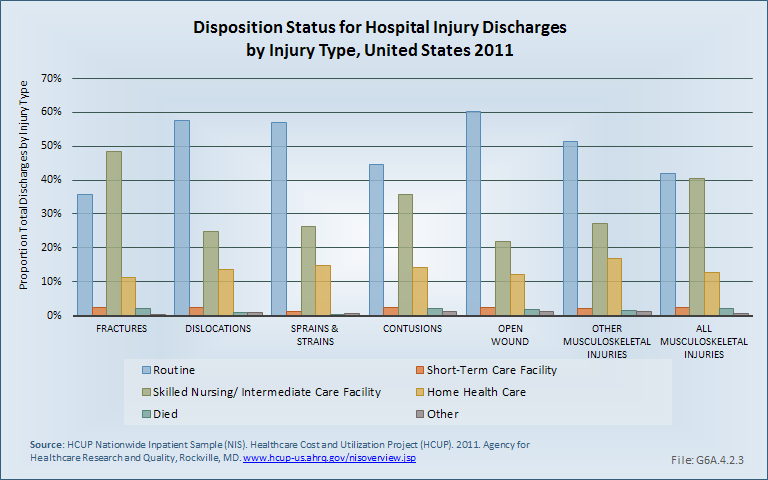 In 2010, a substantial majority of the 5.8 million dislocations (76%) were treated in physician offices. 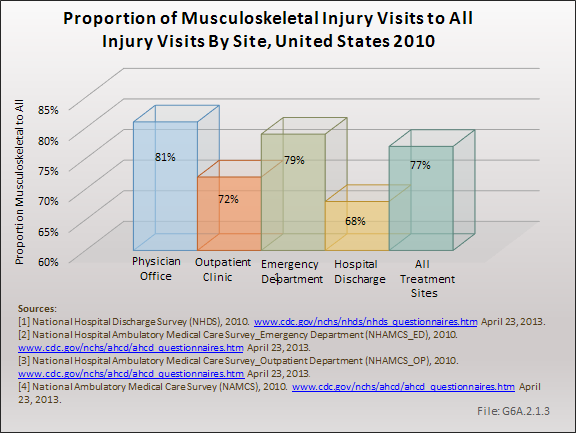 Dislocation of the knee or leg joint represented 86% of these injuries, with the shoulder (8%) the only other anatomic site to account for more than a very small fraction of dislocations. 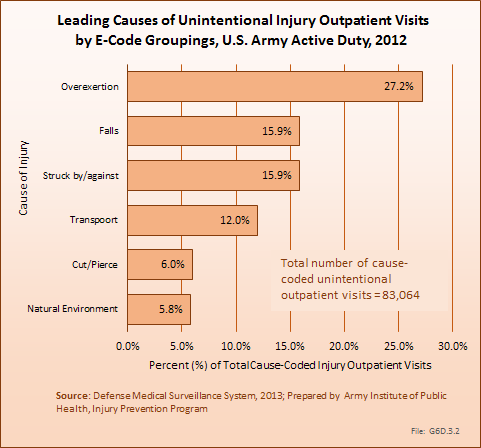 This finding is likely an artifact of an ICD-9 coding anomaly. 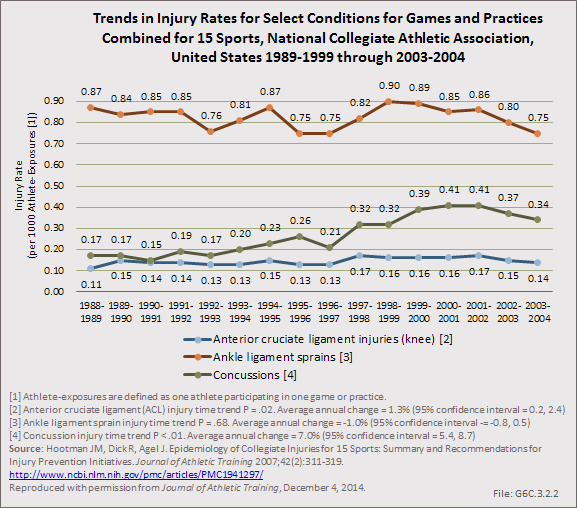 Isolated acute ligamentous injuries of the knee, (ie, anterior cruciate ligament [ACL], medial collateral ligament [MCL], posterior cruciate ligament [PCL], and lateral collateral ligament [LCL] disruptions) are coded as dislocations using ICD-9-CM methodology, whereas equivalent injuries in other joints are coded as sprains or strains rather than dislocations. 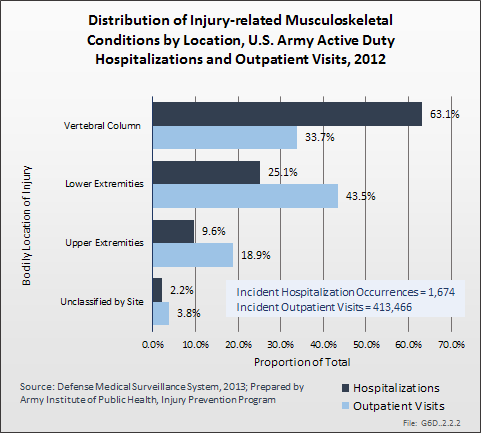 True complete dislocations of the knee joint are actually very rare, and associated with marked morbidity. 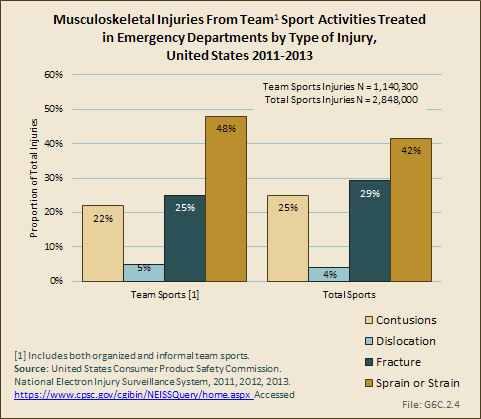 More than one-third (36%) of the 11.8 million sprain and strain injuries treated in physician offices in 2010 were to the back and sacroiliac joint. 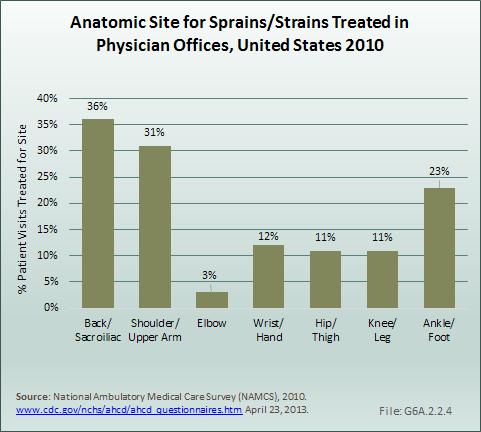 Shoulder (31%) and ankle and foot injuries (23%) represented the other two most common anatomic sites for sprains and strains treated in physician offices.